Computer-rate-controlled (CRC) spreader trucks are required for a variety of construction projects. These trucks use advanced technology to keep the rate of spread constant for greater quality control during every project. 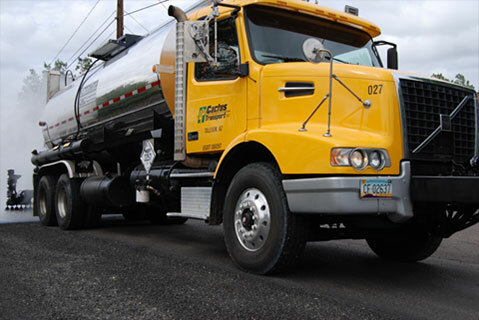 Instead of owning, storing, and maintaining these specialized vehicles, Cactus Transport by Cactus Asphalt can bring fully stocked CRC spreader trucks to your worksite. No matter the time of day or night, when it’s time to carry out a spreading task for your asphalt project, our trustworthy team can deliver CRC trucks to you 24/7. Cactus Transport has over 30 years of experience supporting client projects in the Phoenix, AZ, area. Come to us whenever you need raw materials and equipment for an asphalt construction job. As asphalt paving and construction professionals ourselves, we understand that each job has unique needs, and we work hard to help you satisfy them. For more information, call today. WHAT ARE SPREADER TRUCKS USED FOR? 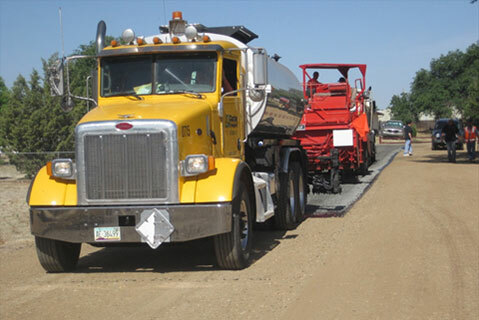 Spreader trucks are used to apply and evenly spread different materials during an asphalt project, including rubberized asphalt. Rubberized asphalt is a volatile material and must be spread and sealed precisely. We have specialized trucks with built-in agitation to ensure that rubberized asphalt doesn’t lose its function before its application. CRC spreaders can also precisely apply various sealant coats onto asphalt surfaces. Standard coats include the prime coat and tack coat. Occasionally, depending on the project, an emulsion called the fog coat is spread onto the asphalt surface as well. WHY USE CACTUS TRANSPORT FOR CRC SPREADERS? Cactus Transport combines unmatched industry knowledge and experience with a range of top-notch machinery and materials that can assist you with any job. We have small, medium, and large trucks for asphalt surfacing jobs as small as a single lane roadway to as large as a commercial parking lot. In addition, we can transport these trucks to you at a moment’s notice. We also have pup trailers that extend the payload of our spreader trucks. By adding on a pup trailer, you can increase the truck’s capacity and reduce the number of times you have to refill material throughout the day. When you’re done with our trucks, we’ll pick them up for you. After each project, our machinery and equipment are always cleaned and properly maintained so that the next time you need spreader trucks they’re ready to go to work for you. Cactus Transport by Cactus Asphalt has a highly trained team of drivers, a huge fleet of vehicles, staff with experience in every type of asphalt job, and 24-hour availability so that when you need a transport company you can count on in Phoenix, AZ, you have one that’s only a phone call away. Need CRC spreaders for your job? Call today at (602) 616-5088!